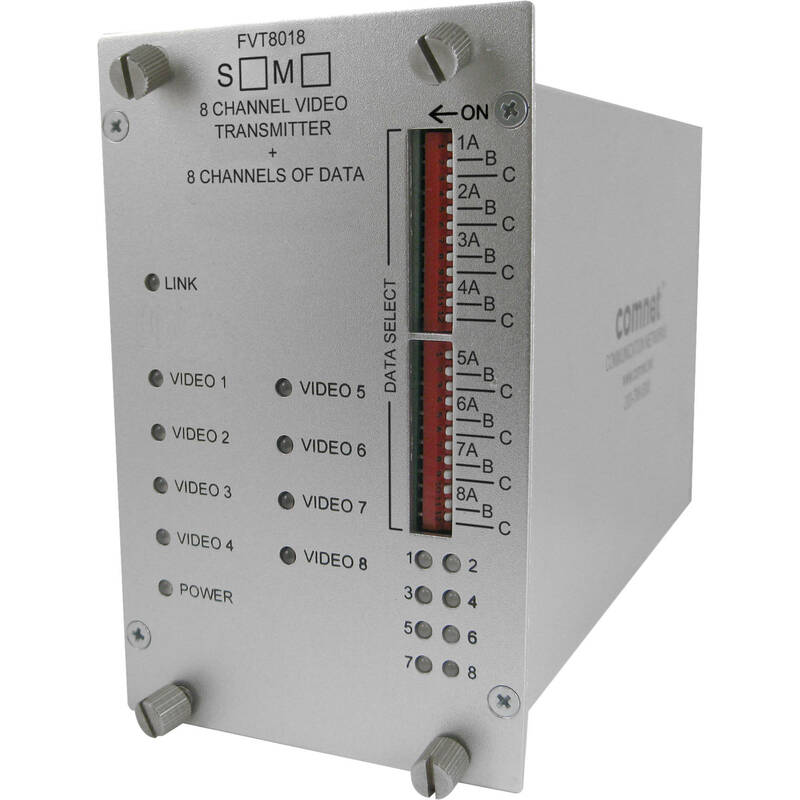 The ComNet FVT/FVR8018(M)(S)1 Series transmits eight (8) channels of 10-Bit Digital Video along with eight (8) channels of bi-directional data over one single mode or multimode optical fiber. The video quality exceeds RS-250C for short-haul video transmission. This equipment is environmentally hardened and suitable for use in unconditioned roadside or out-of plant installations. The FVT/FVR8018 is compatible with NTSC, PAL and SECAM video transmission protocols and supports bi-directional RS232, 422 and RS485 (2 & 4 Wire) data. Plug-and-play design ensures ease of installation and no electrical or optical adjustments are required. Bi-Color (RED/GREEN) LED indicators are provided to indicate the status of the system, video and data. Packaged in the exclusive ComNet ComFit housing, these units may be either wall or rack-mounted, or may be DIN-rail mounted by the addition of ComNet model DINBKT1 adaptor plate.